Whether you are a seasoned corporate wellness provider or just starting out delivering wellness services as a revenue stream to local businesses, continuing to learn and evolve is essential to achieving success. There is growing competition in the marketplace and it's important to know what else you can do to gain a competitive advantage. The following resources are meant to be your one-stop-shop to help community health systems, hospitals and health facilities grow corporate wellness revenue by learning about industry best practices, wellness technology and beyond. Keep scrolling to see all resources! FAQ's for Health Systems Looking to Deliver Wellness Services to Local Business - We consulted with our customer, MercyCare Business Health Solutions about some of the challenges and successes they have had delivering wellness solutions to local organizations. 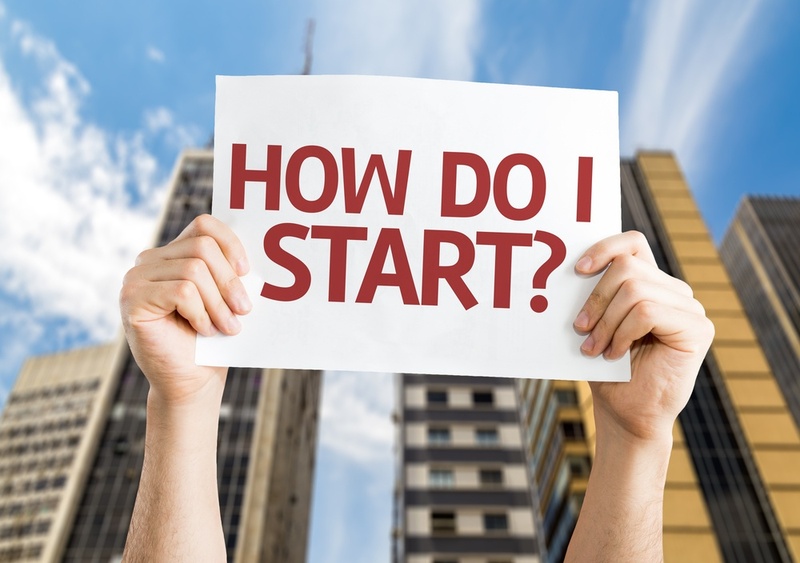 Checklist for Community Health Systems: Get Started Providing Employee Wellness Programs to Local Business - Businesses are asking for more preventative health programs for their employees and are looking to their local health community for help. This checklist helps health systems identify the things to consider to start planning. 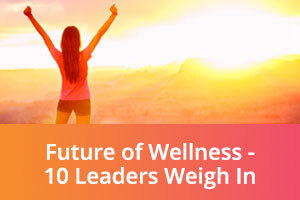 The Future of Corporate Wellness - 10 Leaders Weigh In - We invited ten corporate wellness leaders to answer the question "How do you foresee wellness evolving in the coming years and what do you think organizations should be doing to prepare?" 7 Top Health Assessment Resources for Better Employee Wellness Programs - The wellness industry is complex and the most effective employee wellness programs find the sweet spot where science and technology meet the human touch. This is where behavior change happens. 9 Reasons Why Workplace Wellness Should be Part of Your Occupational Health and Safety Program – and How to Get Started - It's time to start eliminating the silos of occupational health and workplace wellness programs because it all comes down to one thing: the employee and their overall wellbeing. Top 10 Websites for Workplace Wellness Professionals - In the ever-changing world of workplace wellness it's important to stay on top of industry news, trends and insights. 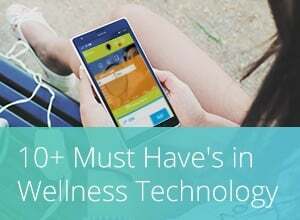 Here's a list of websites every wellness professional should have bookmarked. 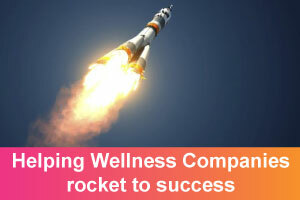 Get Ready to Skyrocket Revenue in Your Wellness Company - Introduction to the blog series explaining why wellness providers are missing out on potential revenue and what more you could be doing. 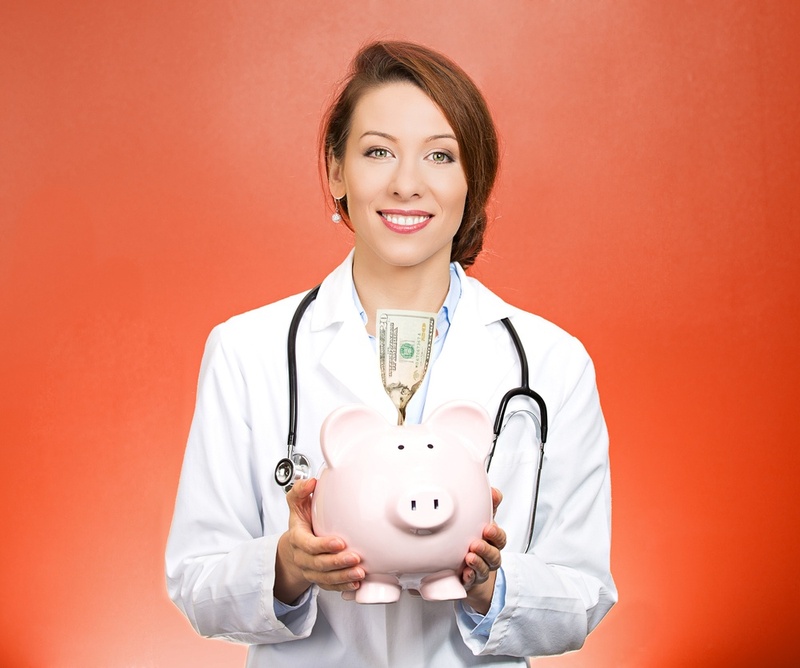 Determine Your Business Model - Wellness Programs & Pricing - Are you certain that the services you provide are competitive and fairly-priced while still ensuring you can make a reasonable profit? If not, check out this business model. 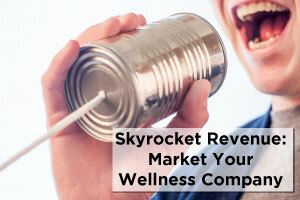 Promoting & Marketing Your Wellness Company - Here we provide insights into some cost-effective marketing tools you could leverage to help you skyrocket revenue. Go Beyond the Ordinary Wellness Programs - Most wellness providers provide ‘traditional’ wellness programs, however, there are many new and exciting products and services being introduced every day. Tailor & Personalize Corporate Wellness Programs - Personalized experiences tend to have a better impact and produce better results. Learn how to tailor and personalize. 3 Tips to Selling Corporate Wellness to C-Suite – Know Your Strategy - To deliver world-class wellness programs, it’s important to identify where you are at as an organization and be realistic about your objectives. Wellness thought leader Larry Chapman shares his 3 wellness models. How to Sell Wellness to C-Suite - Leadership support and buy-in to workplace wellness programs is essential for program success. 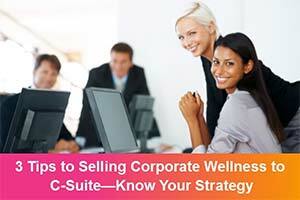 This blog outlines how to sell wellness to the C-Suite with a helpful presentation template to get you started. The Why for Wellness - Communicating the Performance of Wellness Programs - Reporting the results of wellness programs are essential to influence the design of future programs and to gain leadership support. Do you know your leader's 'why' for wellness? This post can help. Checklist for Health Systems to Get Started Providing Employee Wellness Programs to Local Business - There are many factors to consider as you prepare to expand your programs beyond your own health system employees. Below are some things to think about and plan for as you get started. Wellness Business Model & Revenue Calculator - Do you know for sure that your programs and pricing are competitive in the wellness industry? Here we share a revenue calculator so you can easily experiment with industry pricing. Marketing Tactics Toolkit - Our toolbox comes with a helpful internal marketing checklist and lists of digital marketing resources, conferences, directory listings and more. Is it time to improve the process of developing, delivering and administering your wellness programs to clients? Even if you use technology already, it may feel old, unexciting or simply does not help you deliver your programs in a fast and efficient way to help you grow your wellness revenue. Is it time to discover a new option? 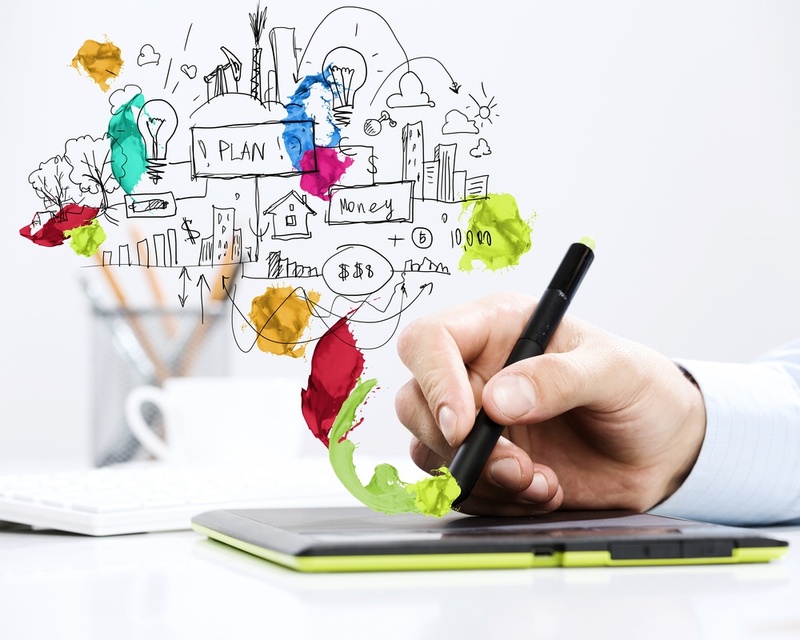 Still deciding if your organization is ready for new wellness technology? These resources may help you decide. 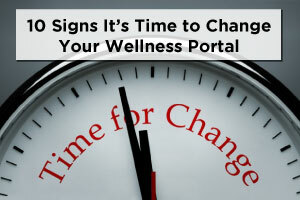 10 Signs It's Time to Switch Your Wellness Portal - As health and wellness programs evolve, the demands on your corporate wellness portal changes too. Know the signs it may be time to explore new technology. Should you Build or Buy Wellness Technology? - Here are 4 guidelines and a white paper to help you decide if you should build your own, buy a market-ready solution or outsource. 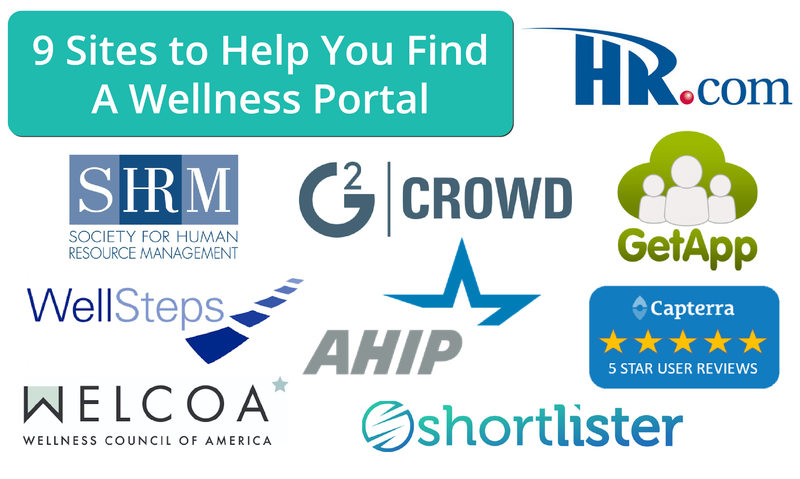 9 Sites to Help Corporate Wellness Companies Find a New Wellness Portal - Some great resources to help you research currently availble wellness technology in the market today. White Paper: To Build or Buy Wellness Technology - This white paper provides a detailed comparative analysis on whether to build your own wellness technology or invest in a market-ready platform. 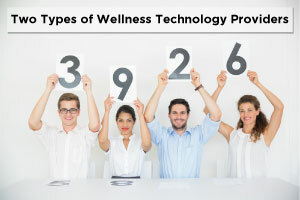 Understanding the Two Types of Wellness Technology Providers - When you evaluate technology vendors, it's important to know if they are wellness service providers or focus exclusively on technology. How is a Wellness Technology Company Different from a Corporate Health Vendor? - It's important to understand the differences between wellness vendors and wellness tech companies because one can be very different than another. 10+ Must Have’s in Corporate Wellness Technology - This is an introduction to a 10-part Must Have blog series outlining the essential components wellness providers should consider as they research and evaluate corporate wellness platforms. 5 Essential Features for Your Corporate Wellness Portal - Wellness doesn’t have to be a challenge when simplified and streamlined into one easy-to-navigate site. Check out the 5 essentials. FREE Wellness RFP Template and Tools to Find the Perfect Wellness Portal - If it’s time to find a new wellness portal to manage your employee wellness programs, download this playbook, wellness RFP template, demo script and evaluator tools to start the process. 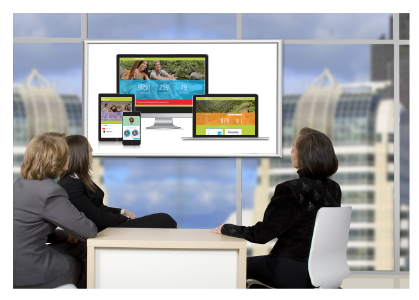 6 Tips to Successfully Host a Vendor Demo for a New Wellness Portal - If you are in the market for new wellness technology, it’s important to follow a structured process to get the most out of your evaluation process and to find the perfect portal. Follow these 6 tips. Top 10 Security Questions When Choosing Wellness Technology - When implementing a corporate wellness platform, most sophisticated organizations perform a security and privacy assessment as part of their due diligence process. Know the essential questions to ask. 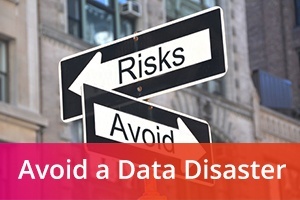 Global Data Privacy Laws and Employee Wellness Programs - If you offer employee wellness programs (especially to a global workforce), how do you ensure you are compliant with the global data privacy laws? We share how you can. Global Privacy Laws When Storing Personal Health Information in Wellness Technology - Download the white paper to understand geographical requirements of personal health data storage. How Top Employee Wellness Programs Stay Totally Secure - Here are the top 10 ways to maintain the security of your wellness platform. 6 Most Common Privacy & Security Vulnerabilities in Wellness Portals - Wellness portals store personal health information so it's important to know common vulnerabilities and what you can do to protect the data you store in your platform. 6 Best Ways to Prevent Privacy & Security Vulnerabilities in Wellness Technology - You can never be too careful when it comes to privacy and security. Discover the preventative measures you can take with your wellness technology. Corporate Wellness Technology Requirements Checklist - This downloadable checklist is a high-level overview of must-have features and functionality as you research your technology options. White Paper: Where in the World May Personal Health Information be Stored? - Learn about global privacy based on our consultations with information privacy experts. Download Wellness Technology Playbook - This playbook includes links to a comprehensive wellness RFP template, agenda and vendor demo script and an evaluator scorecard to help evaluators know what to look for during demos. Download Agenda & Demo Script - If you are hosting a vendor demo, it's important to follow a process and prepare. This template will get you started. Download Evaluator Scorecard - Help your team effectively evaluate the vendors demonstrating their wellness technology. 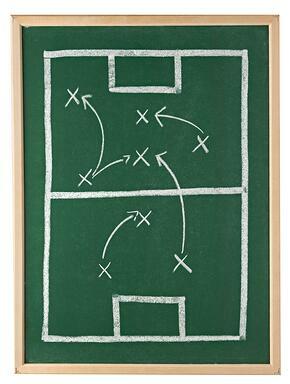 This scorecard will help your evaluators know what to consider and how to score. Leading wellness providers work with third-party providers to complement existing wellness programs. CoreHealth continues to grow our network of best-in-class vendors that integrate with our corporate wellness platform providing an easy, seamless user experience. Community Health System a Pioneer at Delivering Workplace Wellness to Local Businesses - MercyCare Business Health Solutions (BHS), the corporate wellness solutions division of Mercy Health System, is one of Eastern Iowa's leading wellness organizations. This case study speaks to their journey of supporting local businesses. How a Health Conscious Culture & Wellness Portal Delivered Holistic Wellness - Discover how Hamilton Health Care, a nonprofit health care system, has created a strong and supportive health conscious environment that has fully embraced a wellness culture. A Look Inside a Top Global Employee Wellness Program - with a Twist - Having a single employee wellness program for a worldwide company might seem impossible, but one corporation made global wellness work – and made it a charity benefit, too. Corporate Wellness and Employee Engagement with a Global Workforce - Discover how an international health care and insurance company boosted engagement and wellness. Workplace Health and Wellness Program Led by Olympians - EAP and HR leader Morneau Shepell combine their workplace health and wellness programs with Canadian Olympians to help employee's to 'Get to Their Gold' - all powered by CoreHealth. Release Announcements - CoreHealth provides a minimum of two new software releases every year. Check out some of our latest and greatest. Wellness Compass - As part of version 2017.1, CoreHealth launched the Wellness Compass - a new technology for organizations to engage employees by enabling them to choose a personalized health journey. If new wellness technology is in your future, we would love to show you a demo of the CoreHealth corporate wellness platform.